Nigeria's Super Falconets have scored a late equalizer to book their place in the quarter final at the ongoing U-20 women world cup. The Nigeria Women’s U-20 team, the Falconets, have qualified for the quarter-final stage of the ongoing FIFA U-20 Women’s World Cup taking place in France. 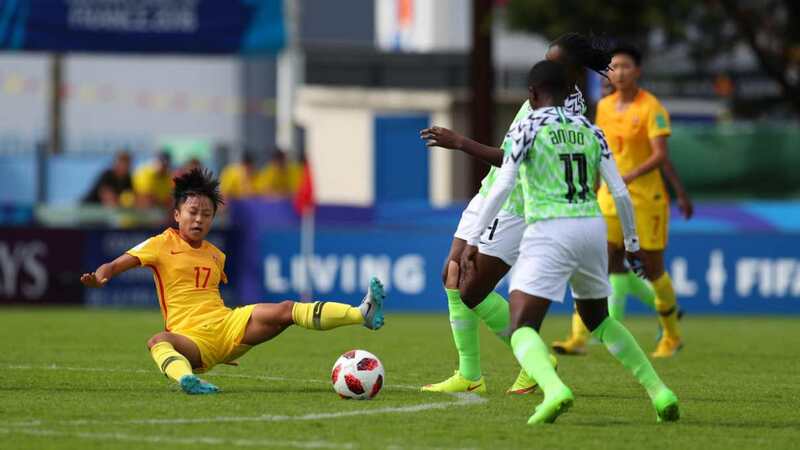 A last-ditch effort from Rasheedat Ajibade saved Nigeria from exiting the cadet Women Cup as the Falconets forced China to a 1-1 draw. The Asians were stronger in defence in the second half as the Nigerian girls continued to push for an equalizer. With Five minutes added at the end of regulation time, the Falconets gave the last push and their effort was rewarded as Ajibade scored to bring the tie to a 1-1 draw and qualify the team for the quarter-final. The Coach Christopher Musa-tutored side has now scored two goals and conceded two in the tournament.